I feel like I start every post with “using an idea from….” but it’s the truth. I am an internet stalker. 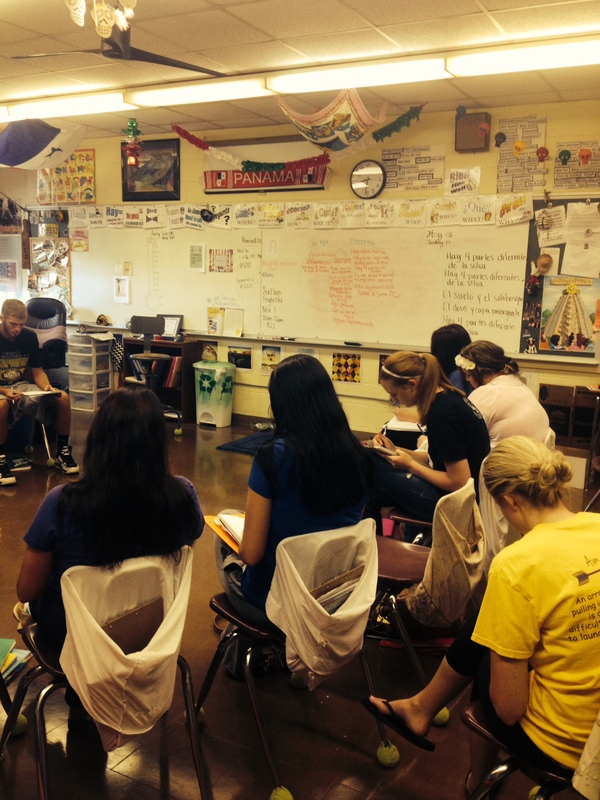 I look for your good ideas and use them in my classroom! But to be fair, I always try to credit the person I learned my new trick from! This one comes from the creative and extremely busy Linda Zins-Adams! 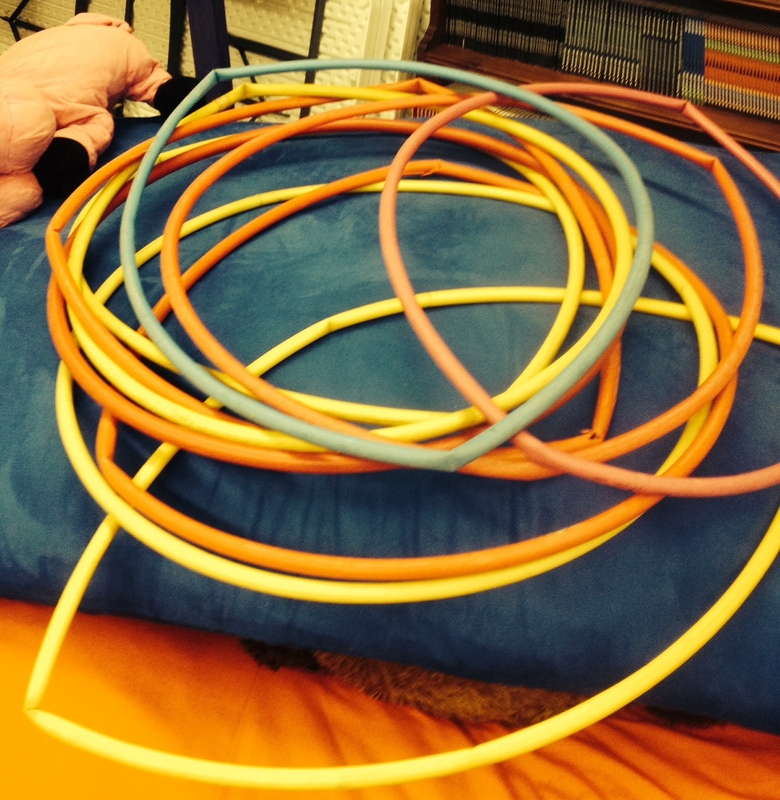 Her hulahoops looked a WHOLE lot straighter than mine do… I think PE needs an anonymous hoop donor!! We’ve been studying the environment. I wanted to create a link between our environmental issues in southern IL and those in the rainforest of Panama. First, we had a guest speaker from the army corps of engineers who talked to us (in English) about the Kaskaskia River watershed and the problems with deforestation and siltation in our local lake. Next we did a reading activity with the transcript of this interview with a National Geographic Naturalist Guide from Panama in which we learned that we are dealing with many of the same issues! https://www.youtube.com/watch?v=HdftDBHg6iM&list=UUQnG4I7ho6xAI6nqrN6ZpmA (watch out, I threw an extra L in the verb talar in one of the shots but it was so much work getting it uploaded that when I noticed, I didn’t change it.) After watching and discussing this interview, we needed a review to help us make some real comparisons between the two forests. I typed out 20 different issues that were brought up by the two speakers. 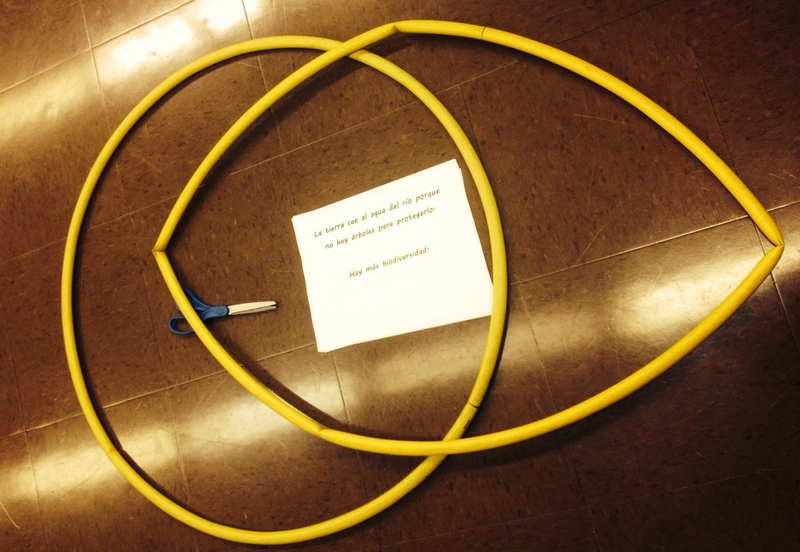 Some by both and some by only one of them… Students had two hula hoops and 10 minutes to create a Venn Diagram that accurately represented the environmental issues we had studied. 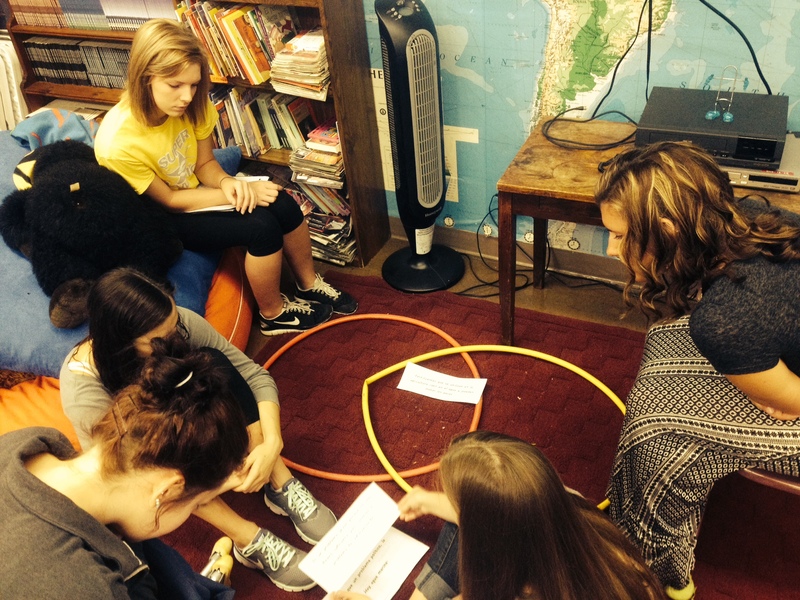 The students, in their Amazing Race groups, discussed where they thought each issue should fall, Panama, Carlyle, or both… Each group had a few different than the next! 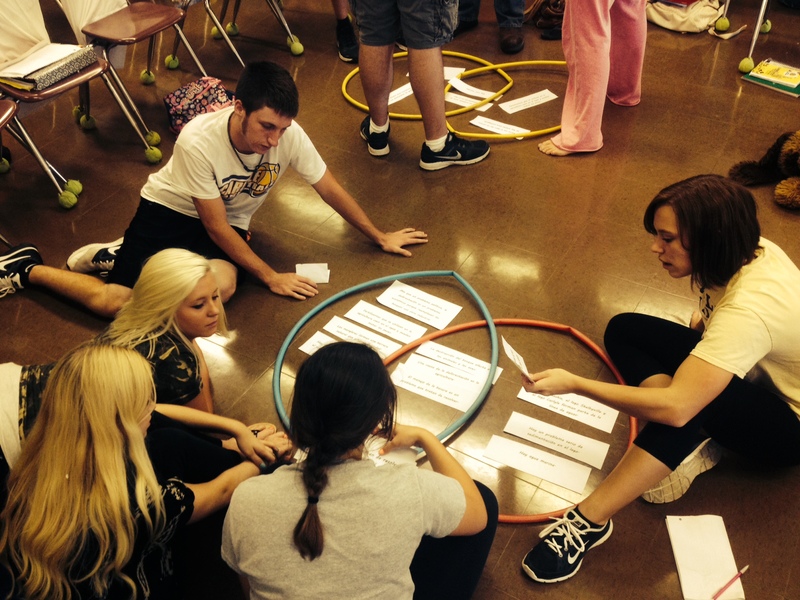 The best part of the activity came as we collectively made the Venn Diagram on the board. The students were willing to argue, in TL, about why they believed one of the issues went in a different place than another group suggested! Our Venn Diagram complete, they did a formative assessment, a 10 minute timed writing on the similarities and differences in the forests of Carlyle and Panama. Using our notes in the Venn on the board, they turned random thoughts and ideas into some really insightful paragraphs! It was a fun way to review with them and I think they are feeling ready to move on to a more detailed look into our forest and Panama’s this week! https://www.youtube.com/watch?v=Uqkot9cpCpE&list=UUQnG4I7ho6xAI6nqrN6ZpmA Our summative assessment will be to answer this video with one shot in the forest here in Carlyle. They’ll have to draw on the comparisons we have already made and maybe even make some new ones!